Seasonal cleansing is important because your body requires different types of foods and nutrients at different times of the year. 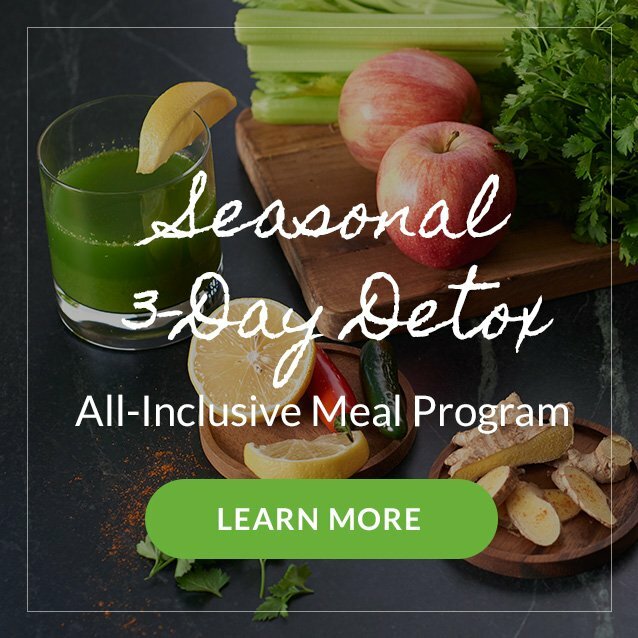 The meals and snacks included in each season’s detox kit provide specific nutrients at the right times to support both Phase I and Phase II detoxification. 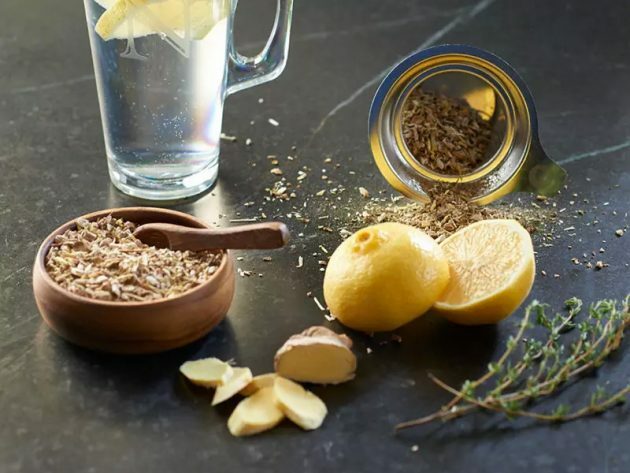 This program is intended to cleanse the liver and kidneys while giving your body a break from digestion, incoming toxins and inflammatory foods. Our all-inclusive, three-day detox program is available for pick up on Monday, January 7 or Friday, January 18. The winter detox consists of meals that are abundant in organic, seasonal produce, and jam-packed with vitamins, minerals, antioxidants and amino acids that support your body’s cleansing process. On your chosen pick-up date, there is a brief presentation starting at 9:00 am. It it highly encouraged that first-time detox clients stay for the presentation, which ends around 9:30 am. During this time, you will enjoy your first cup of ginger and lemon tea, along with your first detox smoothie. Our Master Nutrition Therapist will cover the do’s and don’ts of detoxing as well as aromatherapy support to ensure your three-day program is successful. She will also discuss the transition from detox eating to normal eating, outlining which foods to introduce on a daily basis. You’ll leave with the remaining meals/ingredients needed to continue the program for three days. NOTE: The presentation is not mandatory for repeat detox clients. If you do not plan to stay for the presentation, please notify us at 630.You.Well (968.9355) so we can make alternate arrangements for your tea and smoothie.